The HSTES conducts Haryana Counselling Registration for admission into B.Tech admission. Finally, the Admission Brochure is for admission to B.E./B.Tech. / B.Arch. Courses in Haryana for the Academic Year 2019-20 is released. Haryana State Technical Education Society–HSTES (formerly known as Haryana State Counseling Society-HSCS) was constituted by Haryana Government as part of Department of Technical Education for regulating admission procedure of various P.G, U.G and diploma courses of Architecture, Engineering, Planning, Pharmacy, Management, Technology etc. in the State of Haryana. The online application form is available and the last date of registration is 23rd May to 06th June 2019 (Online) and 24th May to 07th June 2019 (E-Challan). Application Form for Haryana B.Tech Counselling has been started from 23 May 2019. The Basis of admission for B.E./B.Tech is inter-se-merit of combined merit of JEE Main-2019 conducted by CBSE, New Delhi. Lateral Entry in BE/ B. Tech. The dates given below are tentative and announced by Haryana Online Counselling for admission to AICTE approved Technical Courses for Session 2019-20. The current year dates will be updated once it is officially released by Haryana State Counselling Society. The Final Cut-off Date is 15 August 2019 for all types of admissions in any Institutes. Furthermore, the institutes must upload the institute level admissions data on HSTES portal by 16 August 2019. 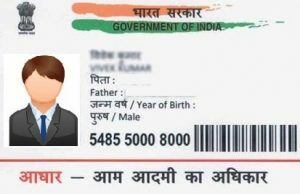 The government of Haryana has decided that from the session 2019-18 onwards Aadhaar of the admitted candidates must be captured and the credentials must be uploaded with the admission data. Therefore, the concerned institute shall upload Aadhaar along with other details of the admitted candidates on HSTES portal up to the last date of uploading the admission data. This is for the purpose of his/ her identity and authentication. 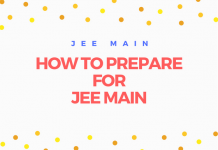 The Counselling for BE/ B.Tech admissions is on the basis of JEE Mains Merit/Rank. 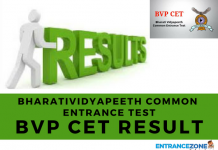 The Joint Entrance Examination conducted by the CBSE on All India Basis. Whereas B.Arch Admissions is on the basis of NATA Score. National Aptitude Test in Architecture conducted by COA. Also, Admissions for B.Arch courses will be made on the basis of valid NATA score conducted by Council of Architecture (COA) and marks secured in the qualifying examination in the ratio of 50:50. The Applicant for B.Arch is required to deposit the merit calculation form (available at Annexure-XVI) in the office of HSTES, Bays no. 7-12, Sector-4, Panchkula. And MBA admissions are on the basis of CMAT score. The CMAT is conducted by AICTE. The Candidates can check last year opening and closing ranks of individual institutes available at the official website of HSTES. How to go for Haryana Counselling Registration? Select your Course of admission. And Haryana counselling fee receipt for future referance. Department of Technical Education, Haryana Admission Brochure gives details about the admission to engineering (B.Tech) Courses in the University Departments, Govt./ Govt. Aided / Private Institutions located in the State of Haryana. Read about >> Haryana Counselling Procedure in detail here. Minimum Academic Qualifications for B.E. /B.Tech. The Candidate must be a pass in 10+2 board from recognised Board/University with Physics and Mathematics as compulsory subjects. General cast Applicant must be obtained at least 45% marks. And for SC category it is 42.75%. Candidates must pass 10+2 or equivalent from a recognised Board with 50% marks in Mathematics and also obtained at least 50% aggregate marks in 10+2 Boards. Or Candidates passing 10+3 year Diploma ( any stream) recognised by Central / State Governments with mathematics as a compulsory subject and obtained with 50% in aggregate marks. Or IB- International Baccalaureate Diploma, after 10 years of schooling, with a minimum of 50% marks in aggregate including Mathematics as a compulsory subject. Also, the merit list will be prepared on the basis of aggregate marks of 10+2 and NATA score in the ratio 50:50. Further, the applicant must obtain a minimum of 40% marks to pass NATA Test. For Kashmiri Migrants (applicants) relaxation in cut-off percentage is up to 10% subject to the minimum eligibility requirement in B.E./ B.Tech. And Kashmiri Migrant Applicants are required to fill Online Application Form on the website: www.onlinetesthry.gov.in. HGST reserved seats shall be filled on the basis of merit of 10+2 merit (of 2019 only) in each branch of the Govt./Aided/University Department/Private Institutes offering B.E./B.Tech Programme. Department of Technical Education, Haryana Admission Brochure. Click Here. HSTES conducts Haryana Counselling Registration for admission into B.Tech & B.Arch admission. And the Process will start on 15 June 2019. Dates Confirmed. The Government of Haryana established Haryana State Technical Education Society–HSTES. Also, before HSTES it was known as Haryana State Counseling Society-HSCS and is part of Department of Technical Education (DTE, Haryana). Furthermore, Haryana State Technical Education Society was set up with an aim to bring transparency and uniformity in admissions to the various postgraduate, undergraduate and diploma programmes of Architecture & Planning, Engineering, Pharmacy and Management colleges under DTE, Haryana. Find the List of TOP & BEST Engineering Colleges of Haryana. Haryana counselling 2017, hstes counselling 2017, Haryana leet 2017, Haryana state technical counselling fee, Haryana counselling result 2017.
sir, i submitted the counselling fee.how i can lock the universities .